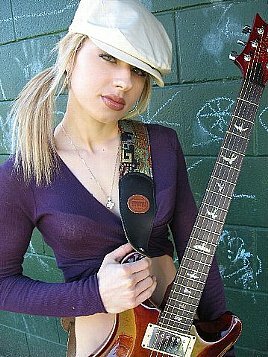 Orianthi has played with Prince, toured with Steve Vai, had a song on THE BRATZ movie, played at The Eric Clapton Crossroads Guitar Festival. She has also appeared at the 51st Annual Grammys with Carrie Underwood where she was Underwoods lead guitar player. Orianthi was Michael Jacksons lead guitarist and was present on all rehearsals for his THIS IS IT Tour before his death. Her latest album, BELIEVE features the single "According To You". 怒ってるんじゃないんだ　愛なんだよ ・・・ L. O. V. E.
Never Can Say Goodbye　& Jackson5's HITS.